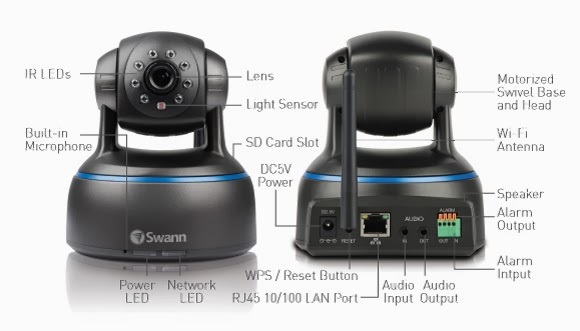 This is a new type of product review for MashButtons and this product comes to us from Swann Security Systems and they have provided me with the SwannEye HD Pan & Tilt All-in-One IP Network Camera. The SwannEye HD is a high definition camera that is chock full of features such as night vision up to 10 meters, 2 way audio, motion triggers, and ability to pan and tilt from PC/Mac, smartphone, or tablet. 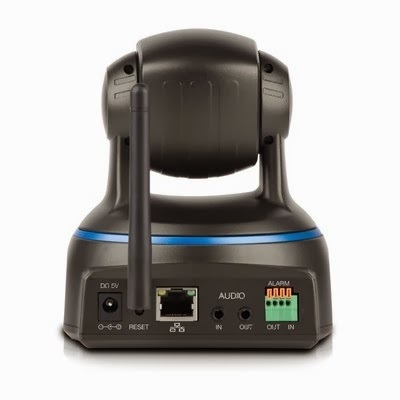 The wireless camera is designed to provide 24/7 surveillance to both home and small business owners with an included SD card slot to save videos and images along with an option of email notifications when motion is detected. Now that my camera is hooked up to the network, let's see how it fares. At first I was a bit hesitant to review this wireless camera as someone that does not have a need for surveillance but Swann did a great job creating a product that appeals to those newcomers and surveillance fans alike. Normally, this wouldn't be a big deal as there are a few ways to do similar remote monitoring between tablet and computer, but the SwannEye HD allows 350 degrees of horizontal panning and 100 degrees of vertical tilting. Worried about a snoopy roommate or your valuables, from the settings I was able set up notifications to be emailed to me when motion is detected, only caught dogs sleeping in my bedroom. Syncing up was fast, taking about ten to fifteen minutes after reading the instructions and the picture on the free app during use is great along with sound topped with night vision that was better than I was anticipating. I had two complaints, one minor which was that it seems easy to tamper with and the other is the lack of heads up display when tilting and panning as it was hard to tell if the input was accepted resulting in overcorrection. As a newb to home surveillance, the SwannEye HD was extremely forgiving and easy to set up by use of a QR code to sync and including all the necessary hardware to mount. If you are not a fan of dangling wires, it is equally at home on any desk or shelf since the tilt and pan abilities allow for a very wide range of view. 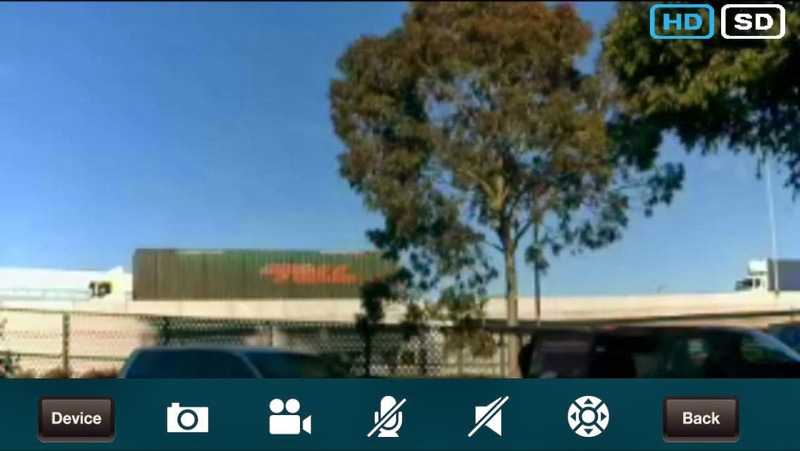 Swann also makes it easy to use multiple cameras to monitor from the same screen in case you get the itch to monitor more rooms or angles whether it be in your business or home. 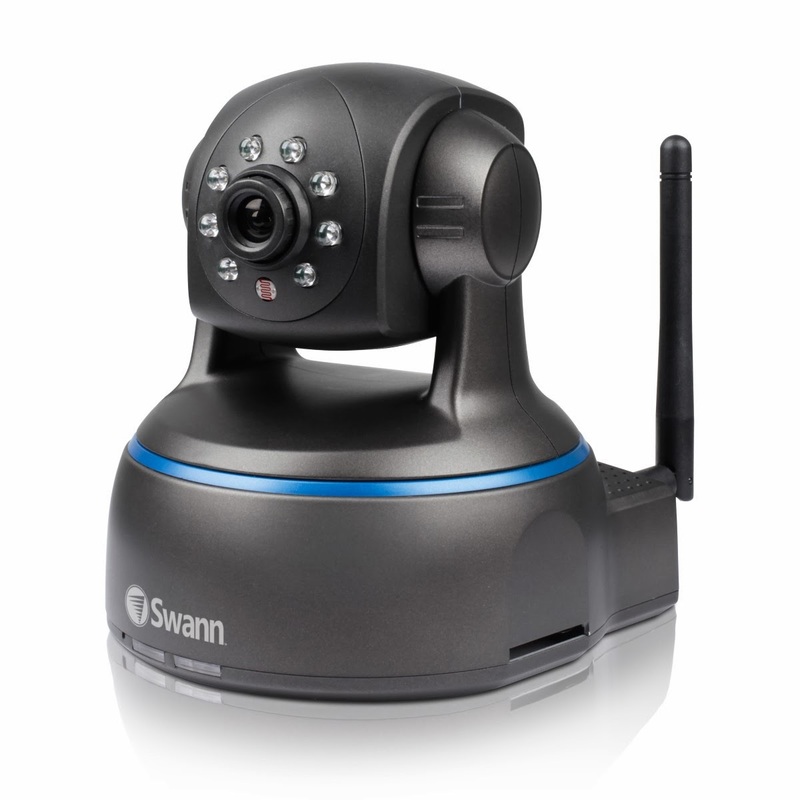 The SwannEye HD is available now to purchase for the price of $179.99 from Swann's store.